Digital marketing refers to use a digital media for marketing your business or product. Basically, there are many digital marketing strategies that you can use. You can use any of the digital marketing tactics for your business. However, email marketing is a core component of digital marketing. Email marketing is the oldest and most effective marketing strategy. Although it is old, it is an effective way to boost your business performance. When using email marketing, you will get many advantages and combine with other digital marketing. 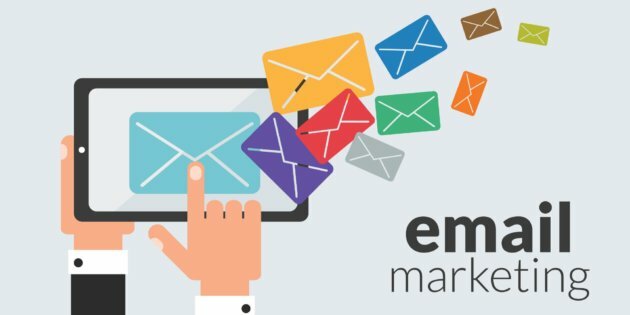 Email marketing is a good method to start your digital marketing strategy. It is easy to use and understand. Therefore, it will give you a clear direction to use a digital marketing for brand awareness and boost sales. Generally, email marketing is a good approach for marketing. It is an old method but gives you an effective result. Moreover, it is an inexpensive marketing strategy to get higher conversion rate. So, you can make it your primary strategy for marketing. Email marketing is a direct marketing strategy. There is no medium between you and your customer. Therefore, you can easily communicate and get feedback from clients. It will make a good connection and give the customers a chance to communicate directly with you. There is no way of biased information from your customers. As a result, you can know every customer personally, give or take available information and make a good relationship. Basically, it will improve your business visibility and value towards the customers. Email marketing is highly targeted. You can make a list of the loyal customers, potential customers, a regular customer and new customers. As a result, you can send email to a specific group. It will help to boost performance and encourage them to your business. Email marketing is an automatic process, still, a good way to manage your customers. Your customers will feel good and valuable when they get a customized email from you. As we speak, it is a direct marketing campaign, surely, you will get access to all the customers and audience to grow business existence. Email marketing will always ensure to reach your targeted audience. It will always remain in the inbox of the users. Therefore, your people will always see an unread email in the inbox. If you use Facebook ad or Instagram ad, it will show for a certain time. It will disappear as soon as the time or budget finishes. Email marketing is different from them. Email market will give notification to the users. Now a day, people are using a smartphone and check email for many purposes. Whenever you are using an email marketing, your audience will take an email notification on a smartphone. As a result, he or she will open the email to check whether it is important or not. So, it will give an alert to your customer about your email. Email marketing is inexpensively compared to other digital marketing strategies. The basic cost may look higher because of a package. When you calculate it for per email, it is very low. You can easily send thousands of emails in per package. Don’t look at the price for email marketing packages. You should divide the price by the number of emails you can send. It will give a low amount for per audience. It is relatively low to other marketing strategies. Email marketing can work for boosting all marketing strategies. You can do it not only for promoting any product or service but also to promote your business achievements. As a result, it will create brand awareness of your business and increase online visibility. You can convert and send traffic to your social media pages, press release and more. As a result, the people can easily connect to your social media accounts. It will increase the social media engagement and subscriber. So, it will boost your other marketing strategies too! Email marketing result is easy to measure and perfect for a beginner. As you are new, you need to understand digital marketing properly. Email marketing interface will help to measure the result within a short time. Moreover, it will give you the opportunity to take action depending on your result. You can filter the audience, send custom emails and ban the irresponsive audience. So, you can take action and improve your business marketing. Email marketing is easy to setup for any person. You can easily get a template or buy an attractive template. Most of the email marketing software offer a tutorial of using the interface. Therefore, you do not need to find an expert to run an email marketing campaign. You can run the campaign and get good result. Setting up and running an email marketing campaign is easy for everyone. Email marketing always represents a higher conversion rate in case of digital marketing tactics. As it is low cost and effective campaign, it will always give greater return on investment. The return will always seem low at the beginning of the campaign. But, it will be high at the end. Moreover, you will always get conversion because some audience can delay to check your mails. As a result, it will keep giving you result depending on the audience mail checking. These are the reasons of becoming a core component to digital marketing. You need to be sure about the performance, measurement and other features. Make sure you are using the email marketing perfectly. It is important to make a good and attractive email marketing template and campaign for the audience. Otherwise, you will not get any eye-catching result from email marketing. Enter the URL of any website page and see how optimized it is for one keyword or phrase.